Depends on the resolution and screen clarity, you may need to adjust the icon and font size in Windows 7 for the better view. Sometimes the default text size may be difficult to read and you may need to increase it to overcome this difficulty. In a low-resolution screen, you may need to reduce the font and icon size to fit the entire page on the screen. Sometimes to make it easier to read what on the screen you may need to increase it. This article tells how to adjust the font and icon size in a Windows 7 computer. 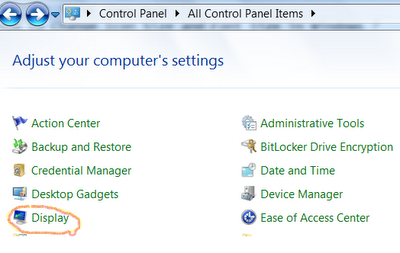 Though it is a Windows 7 tutorial, you can use the same set of instructions for Windows 8 laptops. If you are facing issues with reading text due to its smaller form, select the radio button near medium or high. If you are facing issue to fit items on the screen, you may need to select smaller measurement. I mean if the text is small and you are facing trouble with reading it, you must change it to big. It is easy to convert a smaller text to bigger and vice versa. After this, you should log off your computer to see this change in effect. To know about how to stop installing unwanted programs and applications, follow the link below. In this tutorial, you have learned how to convert a smaller letter on the screen into a bigger one by adjusting its measurement. It will definitely help users with issues with eyesight. For those who cannot view smaller text properly, this trick will let them change the smaller text to bigger. Similarly, CoreNetworkZ explains simple but very useful Operating System tricks in simple language. For example, if you don't know how to assign DNS server address, follow the link below.